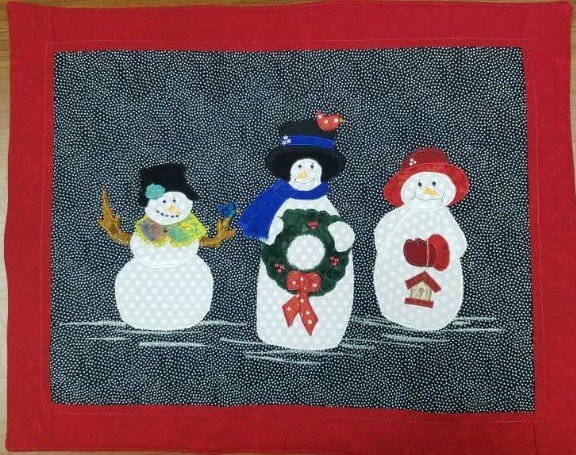 3 fun snowpeople applique designs. Everybody loves snowmen and these will never melt. Make a wallhanging, pillow, towels, or anything you can think of.